Adding More To Cinderella's Score? It's Possible! 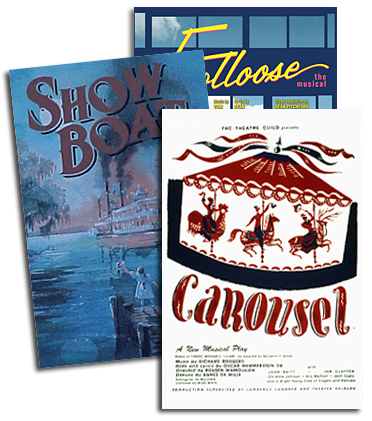 The Rodgers & Hammerstein musicals are among the most well-constructed works of their kind. This makes them especially resistant to ""interpolation"" - in other words, taking a song from one musical's score and putting it in another. If there is an exception to that rule, however, it could be CINDERELLA, proving that impossible things are happening every day. ""With CINDERELLA, two resolute theatre guys were venturing into a new arena for themselves - television,"" says R&H President Ted Chapin. ""R&H wrote a wonderful score, but it was for television in its infancy. We figured that since Richard Rodgers himself sanctioned interpolations for the '65 remake with Lesley Ann Warren, we could do likewise. Still, we challenged producers of the new remake to come up with pretty compelling reasons for adding more songs. They did."" Like the '65 remake, the new CINDERELLA (See accompanying article) focuses on its two young lovers right from the start. Their plaintive longing mixed with hope is ideally expressed in ""The Sweetest Sounds,"" a song Rodgers wrote for his only solo Broadway score (NO STRINGS, 1962) and an easy fit into this version. A song written by Rodgers with Lorenz Hart, the acid-sharp ""Falling in Love with Love"" (from their 1938 musical comedy THE BOYS FROM SYRACUSE) made its way into the script as a number for the Wicked Step-mother (who usually doesn't get a chance to speak, or sing, her mind in most CINDERELLA scenarios), giving counsel to her daughters. ""Falling in love with love is falling for make-believe,"" she warns them. ""Falling in love with love is playing the fool."" Still, there was plenty of soul-searching here at R&H about using this song in CINDERELLA. Would such a biting Hart lyric cut against the gentleness of the Hammerstein whole? Perhaps surprisingly, it was Hammerstein's son, James, who - as a director and lyricist in his own right - was the most open to it. And one final detail closed the deal for everyone else: ""Bernadette Peters,"" recalls Mary Rodgers. ""Once we found out she was playing the Step-mother, we said 'Go for it.'"" When Jason Alexander was signed to play Lionel the Steward, everyone felt his talents as a song & dance man (JEROME ROBBINS' BROADWAY) demanded a full-blown production number. As a result, the Steward's song, ""Your Majesties"" was merged with the Town Crier's number, ""The Prince is Giving a Ball,"" with Lionel announcing the Ball and preparing for it in one elaborate sequence. A delightful premise, with one catch: nothing like it appeared in Hammerstein's original. ""The puzzle created by this sequence was fairly specific,"" recalls Chapin, ""and we knew that it needed a first-rate Broadway lyricist to get us out of the jam. So Rob Marshall called his friend Fred Ebb."" Virtually overnight, Fred Ebb - the award-winning lyricist of CABARET, KISS OF THE SPIDER WOMAN and CHICAGO - produced a set of ideal patter lyrics that melded stylistically with the Hammerstein originals. ""In his early years, Dad often wrote lyrics with other guys, like Otto Harbach,"" Jamie Hammerstein points out. ""He would have had no trouble with Fred's lyrics - my guess is, he would have enjoyed having Fred as a partner."" Whitney Houston's extraordinary vocal talents also presented CINDERELLA with a wonderful challenge. There was never any question that, with Houston holding the magic wand, this Fairy Godmother would get the last word. But again, that isn't the way the original version was constructed. ""We looked in the trunk,"" says Chapin, using the theatrical term for a songwriter's stash of unused material. ""It wasn't too hopeful since there simply weren't a lot of choices. But one of the numbers we dusted off and sent out to California was called 'There's Music in You.' We thought it had a shot."" That song was ""There's Music in You,"" and it had a brief life beyond the movie; Williamson Music published the sheet music in '53 (and republished it in a recent novelty collection, Rodgers & Hammerstein Rediscovered), and Bing Crosby recorded it for Decca the same year. But little else was heard from it. Until now. ""It fit the moment perfectly,"" says Chapin. ""It hadn't occurred to us when we first suggested it, but starting this version with 'The Sweetest Sounds' and ending with 'There's Music in You' bookends CINDERELLA with songs about music and an arc that shows how Cinderella herself has grown. From Rodgers - 'The sweetest sounds I'll ever hear/Are still inside my head' - to Hammerstein: 'Make a wish come true/Now there's music in you.' How appropriate! ""So here it is,"" concludes Chapin. ""Whitney Houston's latest ballad, written by Rodgers and Hammerstein...It took 45 years, but talk about your happy endings!"""